We recently ran into a situation where we were asked to capture a company's booth at a large industry tradeshow. At the last minute, the client asked us to create daily highlight reels featuring interviews, product demos, and customer testimonials from each day. Here are a few tips that helped us speed up the post process. Social media has changed many things, including the way our clients think. Tech-savvy audiences want information quickly, and this plays a part in the marketing strategy for many video publishers. If it hasn’t already, there will come a time in your professional career when you will be asked to deliver an edited video with a sameday turnaround or shorter. For many editors, this can be a difficult task. However, with the right mindset and proper preparation, this can be a valuable service to provide to clients looking to post daily videos on platforms like YouTube, Facebook, and Instagram. We recently ran into a situation where we were asked to capture a company’s booth at a large industry tradeshow. At the last minute, the client asked us to create daily highlight reels featuring interviews, product demos, and customer testimonials from each day. That process could have been grueling, but there were some things our skeleton crew did in the field that saved us much time in post. With that mind, I wanted to share a few tips that helped us speed up the post process. One of the first steps that will get everyone on the same page is making sure you’re setting a uniform time-code on your cameras. At this tradeshow shoot, we had two cameras, an audio technician, and a producer. Before each day, we made sure to sync all cameras and recording devices with the same time-code. We used time-of-day based on our producer’s watch and selected the free-run option that most professional cameras include. The time-of-day timecode then helped our crew make detailed notes of essential items that could go into our daily edits. 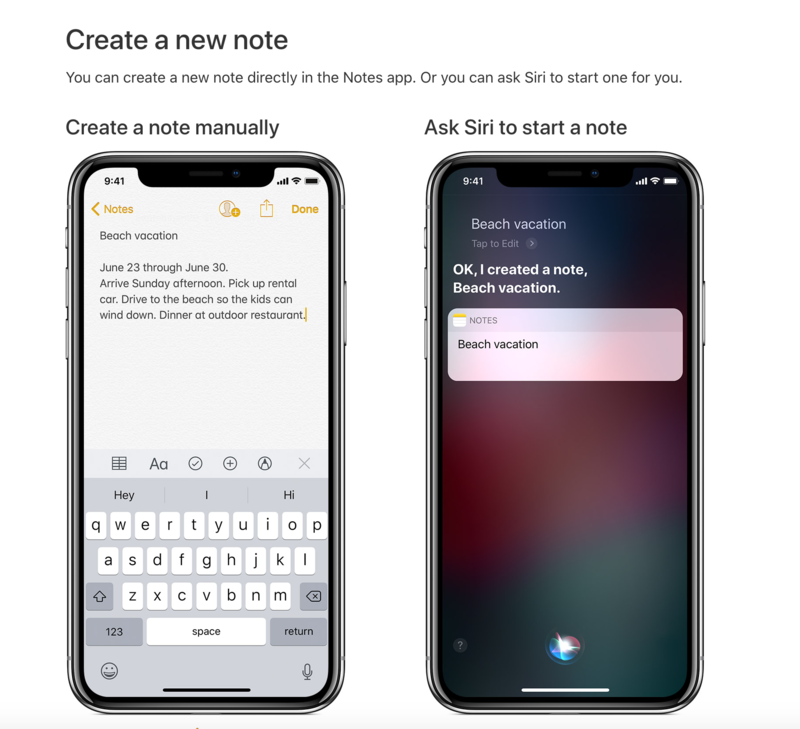 We used the Notes app (Figure 1, below) on iOS and were quickly able to share and sync notes with each other. Other apps like Trello allow for the same type of collaboration and are great for team environments. A simple pen and notepad will also do the trick. The producer, who was also the interviewer, made notes on essential soundbites and worked off of the same time-code our cameras were using. This helped us in making quicker selections with audio that made the cut in each daily reel. Another handy thing we did on this project was tagging or favoriting great clips we captured throughout the day. This worked well in separating the best B-roll clips from each day. We quickly identified these clips in postproduction with the metadata we’d applied in the field. It was a simple way to avoid having to scan through all of the footage we captured from a full day. In our shoot, we used the Atomos Blade series and used the tagging process, which allowed us to add field notes to clips such as Favorite, Reject, Bad Audio, Wide-shot, and more (Figure 2, below). Other devices allow for the same type of tagging but have slightly different workflows. Many cameras also offer built-in tagging features that may show up as “favorite” or “starring” options. Check your camera’s manual and take a look at the review mode to find these features. One other tip that can help in ramping up the review process is deleting or removing clips. I don’t delete any footage from a shoot until it has been thoroughly reviewed, but there’s also no point in keeping footage or interviews that are considered not useable. While I choose not to delete most footage, there have been cases where an interview has started badly. It could have been because of the subject’s response or because of something technical that happened. In that case, I may stop recording and delete that clip and start over with the interview. This will not only lessen the amount of time spent on ingesting footage, but it has also relaxed the interviewees at times, confirming that their bad takes won’t be seen. Have a conversation with your client before you delete anything and make sure everyone is on board with that decision. The final tip I’ll share is geared toward the postproduction end. As 4K, 8K, and even RAW resolutions become common in the video industry, we are starting to deal with massive footage sizes multiple times bigger than 1080 high-definition. Editing this type of footage on the fly, and with laptops, can become cumbersome. In addition to all of the tips above, using programs like Adobe Prelude can help you in filtering out footage that you may need for something specific like a daily edit. Rather than ingesting an entire batch of footage from a camera or card, Prelude allows you to select specific clips to ingest. It does well when working with formats like AVCHD, which create several subfolders with your footage that are not easy to navigate through without a full media ingest (Figure 3, below). Prelude can be a used to get your select footage ingested and get straight to editing. Another workflow to consider is proxy editing. In a nutshell, you use smaller or lower quality versions of your 1080, 4K, and 8K footage during the edit and then replace that footage with the high-quality version when you’re ready to export your video. Programs such as Adobe Premiere Pro (http://go2sm.com/proxy) allow you to generate proxies on ingest, automatically associating them with the native full-resolution media. A single click lets you toggle between full-res and proxy clips. Overall, this allows slower systems to process 4K footage in near-real-time. 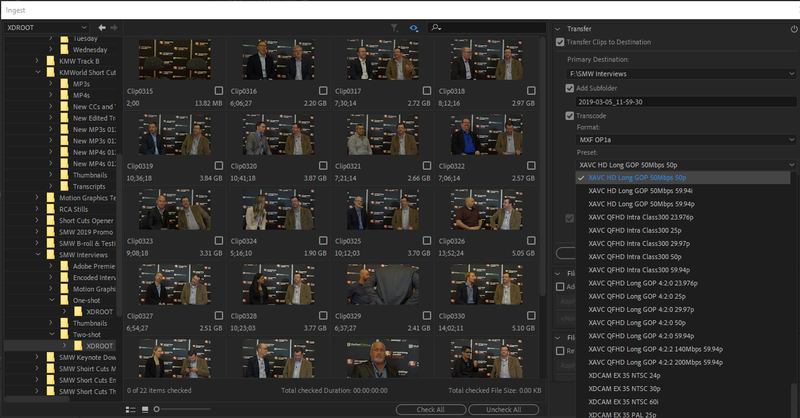 The export may take longer as Premiere Pro uses the original footage, but your edit will move much more quickly with previews and playback. In addition to these post tips, having things such as graphics, lower-thirds, titles, and other editing assets beforehand is always a bonus. We get these loaded into Premiere Pro ahead of the shoot, and even get timelines created for each edit. These small actions can help you stay organized and will speed up the process when it comes to same-day edits.